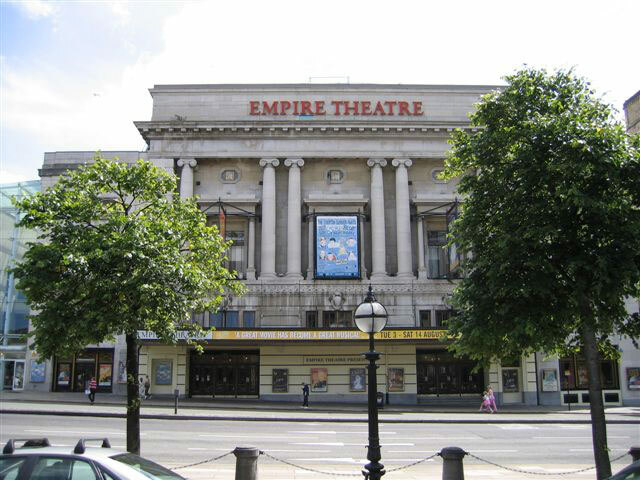 Details & Memories: "My first visit to the Empire was Deep Purple's final show in 1976. We hung around the place off and on most of the afternoon but the band had stayed over (in Scotland) and driven down during the day, so they didn't arrive until it was dark - no soundcheck for them! The backstage access was up a narrow road between the Empire and the station next door, and Purple's posh (to us then - probably just big top of the range Ford Granadas) hired cars seemed to fill the street when they did turn up en masse. We scrabbled for a few words. New boy Tommy Bolin was the last to turn up. A roadie opened the back door - and he fell out onto the pavement. We managed a quick hello and they disappeared inside. A lot of phone calls to their publicity people had produced two tickets for me and Ann (I'd already got two by post so passed the spare on to my brother) but there were no such things as backstage passes then (in the UK at any rate). However someone kindly took our few cuttings and disappeared downstairs, returning not long after with them fully autographed, including an impressive flourish from Tommy. 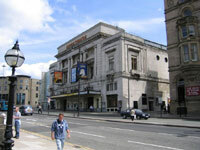 By the following year I was a student in Manchester so the Liverpool Empire was just a train ride away and we caught Rainbow there in 1977. It was a day of ups and downs. The down was probably Long Live Rock n Roll (a terrible number it seemed to me after the grandeur of the second album) and the way the band overall had become heavier but coarser, losing many of the subtle touches from the '76 tour. The up was meeting Ritchie properly for the first time (I'd got his autograph at a couple of Purple shows), when he invited a couple of us back-stage for quarter of an hour before the show. I can recall him visibly sharpening when the questions clearly weren't those of fans of five minutes, and he was very receptive. This was the infamous show where he disappeared from the stage during the encore, and reappeared in one of the first floor boxes, from where he proceeded to trash his Strat copy, dangling the remains over the rabid crowd below. He also did consderable damange to the ornate plasterwork too and got a life ban from the place! 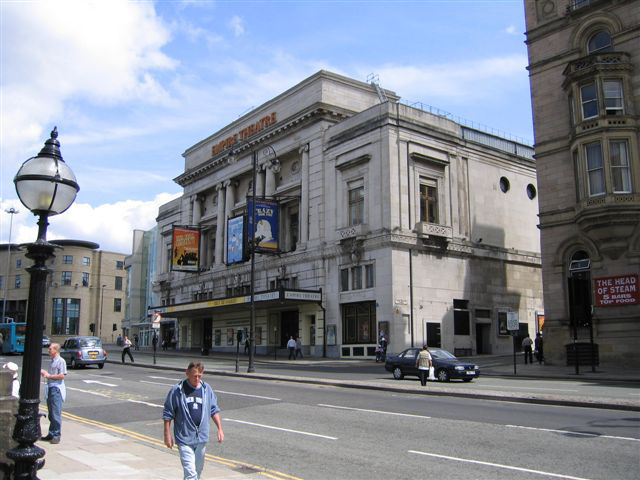 This also led to a reduction in the number of rock bands allowed to play there, and the Royal Court Theatre just across the road eventually took over as Liverpool's premier live music venue - but that's another story." "The Empire was refitted in 1980 when the orchestra pit was added and I think Gillan on the Glory Road tour was the re-opening gig. 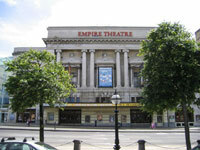 Gillan had a strange connection with the Empire, playing at least once a year; Gillan did a memorable set for Phil Easton's (and Radio City, his then employers) annual Battle of the Bands competition in March 1981 - memorable in the main for Ian collapsing backstage due to his very evident bronchitis about 40 minutes in. 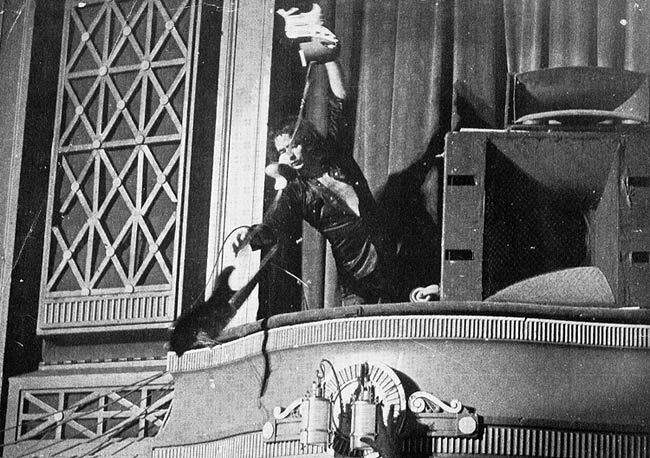 Rainbow, were banned after RB's balcony trashing in 1977. Deep Purple returned in 1996 for Purpendicular. Always an audience with a lot of time for DP family bands and a good sound pretty much everywhere. Why isn't there a law requiring bands to play these proper old theatres with drapes and plaster mouldings and plush seats and capacities of 2-300 tops? 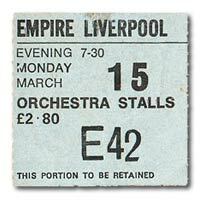 Today: In the end The Empire seemed to lose interest in gigs, preferring to concentrate on pantos and musicals.